In Toledo, Ohio, the minor league baseball team, the Mud Hens, are a non-profit whose proceeds in excess of expenses are remitted to Lucas County. They used to play at Lucas County Stadium (later called Ned Skeldon Stadium), but in 2002 a newly-built ballpark was opened for the team. It is called Fifth Third Field. Fifth Third Field cost a little over 39 million dollars, with 16 million coming from the county and 14 million from the team. The State of Ohio contributed almost five and one-half million. Fifth Third Bank (its odd name comes from its origins in a 1908 merger of the Fifth National Bank and the Third National Bank) put up a smaller share, five million dollars. But the ballpark is not named for the county, which contributed more than three times that amount. No, it is called Fifth Third Field, because the bank bought the “naming rights.” Five million got the bank the right to name the stadium for the next fifteen years (that’s $300,000 per year), and they have an option for ten years more. Not a bad deal – you put up twelve percent of the money, but you get 100 percent of the name. Before this, Fifth Third Bank had already secured naming rights for the minor-league baseball park in Dayton, which means the Toledo facility might more accurately be called Second Fifth Third Field. Public edifices were at one time invariably named for public servants or notable contributors to society. Buildings, parks, streets – all honored important people. Lucas County Stadium, in fact, became Ned Skeldon Stadium, named for a Toledo politician, civic leader, and team promoter. State universities and other public colleges named their buildings for prominent citizens or past officials. Ohio’s Bowling Green State University built residence halls in the 1950s which were placed in two groups, each having four halls originally designated A, B, C, and D. Soon they were renamed to honor notable Ohioans whose names began with those letters – e.g., writers (Paul Laurence) Dunbar and (Louis) Bromfield. New York’s Fredonia State went the whimsical route, with halls named after cartoonists (Disney, Schulz). Two or three decades ago, in the face of declining State funding, public universities adopted the idea of recruiting big donors and rewarding them with naming rights. Sports arenas and stadiums were among the first to be so named, but all facilities are now open to feeding the egos of generous supporters, alumni, and corporations. 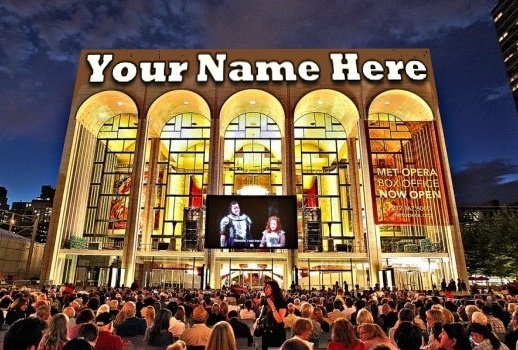 Municipalities have jumped on the gravy train, particularly with sports and entertainment venues that are largely publicly-funded, but named for corporations which pay a fee for the naming rights. The Cleveland Indians used to play in Cleveland Municipal Stadium, but their current home is Progressive Field, with naming rights purchased by the insurance company of the same name. Most professional and upper-echelon college sports teams play in venues named by corporate donors. Here’s a thought: the popularity of this practice creates new possibilities for relieving the budget shortfalls of governmental units everywhere. Any city, county, or State could take advantage of this. Imagine New York’s Fifth Avenue renamed “Trump Boulevard” for perhaps three million dollars a year. Washington Square could become “Gap Square” for a more modest fee. Similar naming rights could be sold for each subway line, for airports, for public buildings. There is no end to the money that could be made. Even the Federal government could get in on this. For, say, a billion dollars you could have an aircraft carrier named the “U.S.S. Burger King.” Dulles Airport could charge 50 million a year to be called “Farmers Insurance Airport.” Congressional Bills could have naming rights: “The Exxon-Mobil Highway Funding Act,” for example. Naming rights could provide a substantial source of revenue for both local and national governments. Anything could be put up for bids or tagged with whatever price the market will bear: highways – or even the entire Interstate Highway System (“Apple Roadways”? ), individual military aircraft or naval vessels, divisions of the armed forces (“101st Airborne – the Fighting Red Lobsters”), government agencies (the “PNC Bank FBI”), anything that anybody will pay for. How about the “Monsanto United States Army”? Beyond that, one could imagine corporate logos on coins and printed advertising on government documents such as paper money, Treasury bonds, driver’s licenses, and passports. Military and police uniforms could take on the appearance of NASCAR racing suits. Every satellite could bear the name of a different sponsoring corporation, every river or mountain the name of the highest bidder. The service academies, spacecraft and their launch sites, the EPA and Social Security, – the name of anything could be for sale. Of course, the vast majority of the expense of such facilities would be borne by the taxpayers, but that’s the way it’s usually done anyway. The public doesn’t seem to have a problem with it when it’s done at publicly-funded sports venues or on public university campuses. Expanding the naming rights business might have to be done slowly and insidiously, starting with some modest parks or buildings, but once the revenue starts flowing in, there will likely be plenty of support. A couple of times in American history, considerations have been given to small communities that changed their names for commercial reasons. Hot Springs, New Mexico, became Truth or Consequences, New Mexico, when the television game show of that name offered to conduct a broadcast from the first town to thus rename itself. Today the town government would no doubt ask for a better deal than one program airing, perhaps a cash payout annually during the run of the show. A few years later, Mauch Chunk, Pennsylvania, responded to a challenge from the family of celebrated athlete Jim Thorpe, which had offered his remains and memorabilia to any town that would change its name to “Jim Thorpe.” Mauch Chunk and East Mauch Chunk combined and became Jim Thorpe, Pennsylvania. Let’s get cracking on this. There’s money to be made. Does the preceding seem like a joke? Does it amuse you or outrage you? If you are outraged by the concept, look around. If the idea that the names of public properties could be sold to rich individuals and corporations bothers you, consider that your government is now largely “owned” by people and corporations whose names are secret. The amount of “dark money” used to sway voters in elections is not only massive, but also anonymous. Lobbyists spend billions to ensure their clients a receptive group of legislators. Regulatory agencies are largely controlled by the entities they are supposed to be regulating. The naming rights ploy would put some transparency into the process of buying access to government. Now, about that NASCAR suit idea…..elected officials with corporate logos on their clothing, sized in proportion to the amount of campaign contributions? Why not?